As the British government begins negotiations to leave the European Union, a Conservative MEP tried to derail plans to protect bees from controversial pesticides. Julie Girling, who represents the South West of England in the European Parliament, launched a move against a proposed ban of three neonicotinoid pesticides that have been linked to bee deaths. But it was blocked by the EU environment committee. Attention is now likely to turn to what the UK’s position on the neonics ban will be post-Brexit. Matt Shardlow, the chief executive of the environmental organisation Buglife, accused the Conservative party of double standards on bees. “The UK Government is giving the impression of caring about bees and pollinators, while Conservative politicians in Europe are doing everything in their power to block efforts to protect bees from pesticides. The European Commission is due to make a decision on whether to ban three varieties of the controversial nicotine-based chemicals later this year. A partial ban on three neonicotinoids has been in place across Europe since 2013, which the UK has lobbied against. In the summer of 2015, the government allowed some uses on UK fields, by way of derogation from the EU wide ban, but rejected a similar request in 2016. Girling warned the European Parliament to pass a series of ‘objections’ to the Commission’s ban proposals, which she argued have not been supported by sufficient legal and scientific evidence. The MEP put forward three objections for a vote at the environment committee on Thursday, but this morning 43 MEPs voted against the Girling objections, 8 in favour and 7 abstained. Though objections are not binding on the Commission, if they had been passed the news would have represent a warning to the body. Neonicotinoid manufacturers have long defended their products against accusations that they harm bees and other pollinators, claiming varroa mites are at least partly responsible for bee deaths. In recent years, however, evidence has mounted that neonics do in fact cause harm to bees, with a landmark paper from the Centre for Ecology and Hydrology last year linking the pesticides to long-term bee decline in the UK. This prompted The Times to publish an editorial stating the “the ban must stay”. This was followed by an Unearthed investigation into private studies commissioned by industry giants Bayer and Syngenta which showed that their neonicotinoid pesticides can cause serious harm to bees. This isn’t the first time Girling has pushed back against pesticides regulations in Brussels. In 2013, she complained of “green scaremongering” in the EU debate over pesticides. 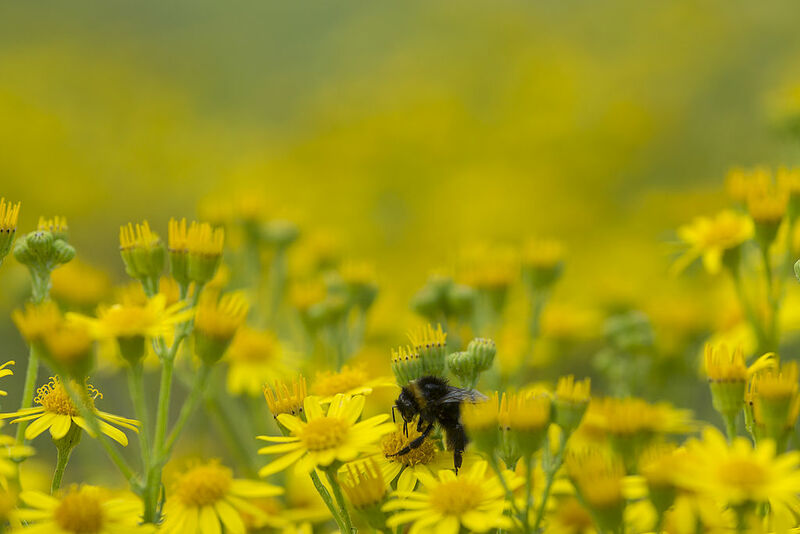 Her objections to the proposed ban of neonics is backed by the key lobbying organisation for the pesticides industry in Europe – the European Crop Protection Association – which wrote to each member of the environment committee this week urging them to support the measure. In the briefing ECPA claims that restrictions to neonicotinoid use “have yet to to yield any positive change to bee health in Europe”. Her former assistant Jessica O’Flynn is now a Government Affairs Manager at the ECPA. She argued that the Commission was yet to provide sufficient legal and scientific evidence to support a ban and suggested that it failed to adequately consider other causes of bee deaths like varroa mites. She also warned that a ban could lead to other insecticides being used by farmers, and force European countries to import certain crops. In September, Girling will be discussing European regulation of the plant protection industry at the AgChem Forum in Nice, alongside Paul Leonard — head of innovation at chemical giant BASF. Girling confirmed to Unearthed that she was not being paid to attend the event. The news throws up questions about what the UK’s attitude to pesticide regulation will be post-Brexit. When asked if Girling would like to see a ban on neonics drop by the UK post-Brexit, she said: “This is speculation at this stage since it depends what form the future relationship will take and what level of compliance with existing legislation is required as part of that relationship. Speaking to BBC Farming Today earlier this week new environment secretary Michael Gove claimed Brexit would enhance UK wildlife laws. Asked if the UK government would maintain a ban on neonics post-Brexit, a spokesperson from the Department for Environment Food and Rural Affairs (Defra) said: “The Government has fully applied restrictions on the use of neonicotinoids introduced by the EU.